Indeed, Culture featuring Kenyatta Hill continues to share the wisdom of Joseph’s conscious reggae overlaid with Kenyatta’s own lively and youthful musical vision. Touring in support of Pass the Torch with a number of festival appearances continued throughout 2009, including most recently a highly successful US tour with Beres Hammond. 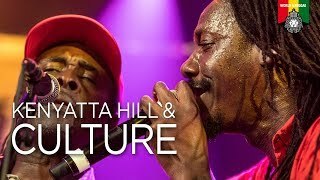 Solo tour dates with a new band can be expected in 2010 as Kenyatta Hill expands his musical horizons beyond his formidable roots.